The village bus is the Norfolk Green route 50, which runs between Long Sutton and Wisbech. The route takes in most of the village, including Rectory Road, Church Lane and Goodens Lane, as well as the High Road. The daily service to the College of West Anglia in King's Lynn on route 446 has been withdrawn and a new timetable for route 50 was introduced on 7th January 2018. 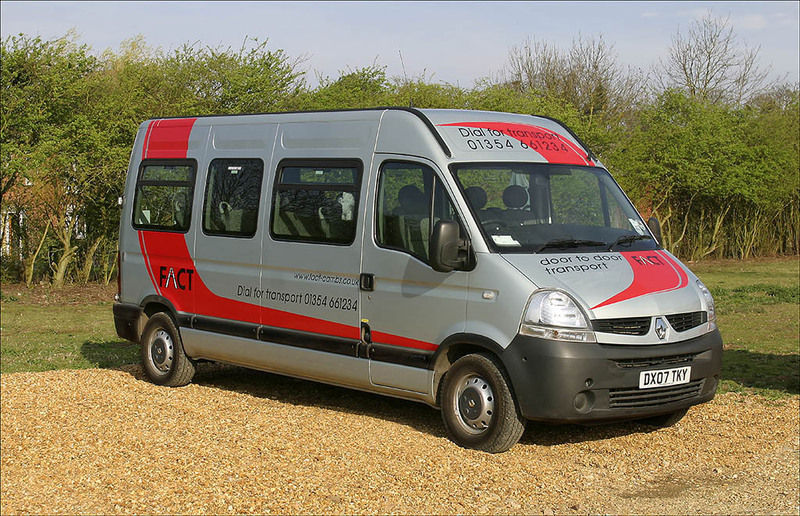 Fenland Association for Community Transport (FACT) is a not-for-profit organisation in the Fenland area which offers a door-to-door service for people who cannot access local bus routes due to age, disability, living in a rural area with a limited bus service or not having access to a car. For individuals, Dial-A-Ride is a pre-bookable service operating throughout Fenland six days a week. The service is based on a scheduled route and local residents who have a bus pass can use this service free of charge. For a group or organisation that requires transport for a day outing, to an event or to enable people to get to a venue, the Group Hire service may be an option. Group Hire enables voluntary groups, community groups, clubs and not-for-profit organisations whose activities are concerned with social welfare, recreation, cultural or similar purposes to hire vehicles with a driver supplied. FACT is a membership organisation and a yearly membership fee of £10.00 per person is payable to use either of these services. Leverington Community Car Scheme provides door-to-door transport for people who do not have the use of a car and are unable to use conventional public transport. In addition to Leverington, the scheme serves all of Newton and Tydd St Giles. The scheme is particularly aimed at helping the elderly and disabled to get out and about. It offers assistance with essential journeys such as appointments at the surgery or hospital, optician and dentist, or picking up prescriptions. Also visiting friends and relatives in hospital. Passengers make a contribution towards the cost of their journey. Journeys are arranged through a co-ordinator and are provided by volunteers using their own cars. These drivers support the community by giving their time. If you would like to join the team of volunteer drivers, please call the number below for more information. To find out more about the service or to arrange a journey please call 07879 082158 or read the scheme brochure. March on the Peterborough to Norwich and Cambridge lines. King's Lynn, Watlington and Downham Market on the King's Lynn to London Liverpool Street line. Spalding on the Peterborough to Lincoln line. Peterborough on the East Coast Main Line from London King's Cross to York, Newcastle and Edinburgh. To follow the movement of ships on the River Nene in and out of Wisbech Port, locate Wisbech on the Marine Traffic Live Map and click on a marker for details of the ship and its current journey. To identify and follow non-military flights over the parish, search for Wisbech on the Plane Finder live flights map and click on a plane symbol for details of the plane and its journey.